Three Reasons to LOVE Bell Sleeves ~ Roses and Rain Boots . I am definitely obsessed with three things right now: blanket scarves, lace up heels and bell sleeves. This is by far one of my favorite looks because I can't get enough of burgundy and blue as a fall color combo. Did you know, Pantone released their Fall colors of the year for 2016 and both were on there. These shoes are just the right shade of plum meets burgundy. They foster my purple color obsession to be age appropriate. Often times, I associate purple as a younger color, since it's often a fan favorite for my students. 1. It's on trend. 70's meets modern day is all the rage right now in the fashion industry and bell sleeves are at the front line! If that's not enough, this top is also OTS (off the shoulder) too, which we all know is another big trend right now. 2. 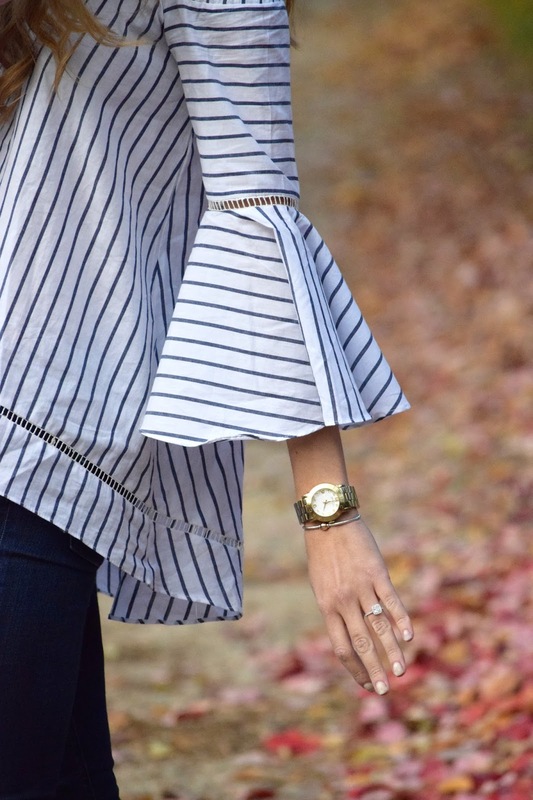 Bell Sleeves accentuate the arm party. I love the way most bell sleeves cut just before your wrist bone giving ample exposure to your bracelet details. Keep it simple with a classic bangle and watch or make a stack of bracelets, either way they look great. Bell sleeves are also universally flattering since they accentuate just the right parts of your arms. 3. It's fun & instantly enhances any outfit. This top is definitely a go-to of mine. It's the perfect top for date night and instantly amps up my tradition skinny jeans and flats combo. Besides being insanely fun, this top is on priority dispatching so it ships within 24 hours and is less than $20. So, what are you waiting for? Don't forget you can shop the post by clicking on the image below. Love this top its so pretty!! Those shoes are seriously gorgeous! Love the color! Love this. 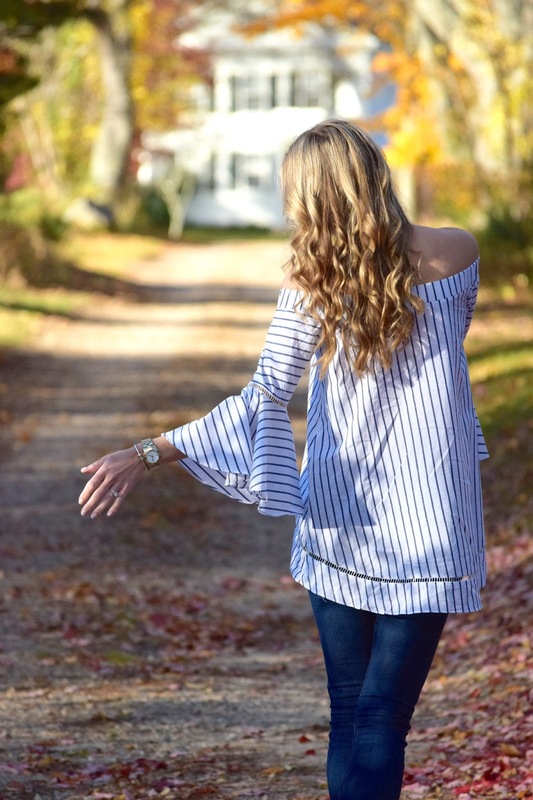 I can't get enough of bell sleeves! Love this outfit! Absolutely love the combination of your bell sleeves and your heels. I adore these bell sleeves babe! What a nice dress,maybe next time ,you can try Robes Casual this website.last month,i bought a dress the same to you,the quality is very good and the price is very low! !